I have a forced day off since my daughter is home with a sore throat. She is tucked into her sick bed on the couch with a marathon of cartoons, and I have some extra time in the sewing room! 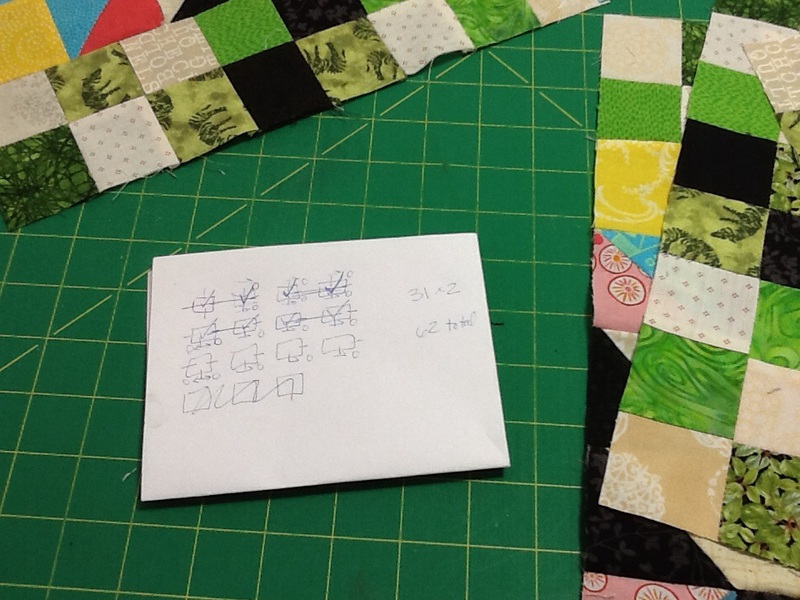 I am still working on Bonnie Hunter’s Grand Illusion (remember to print out the pattern if you want it free…she will take it off her website soon for future publication). 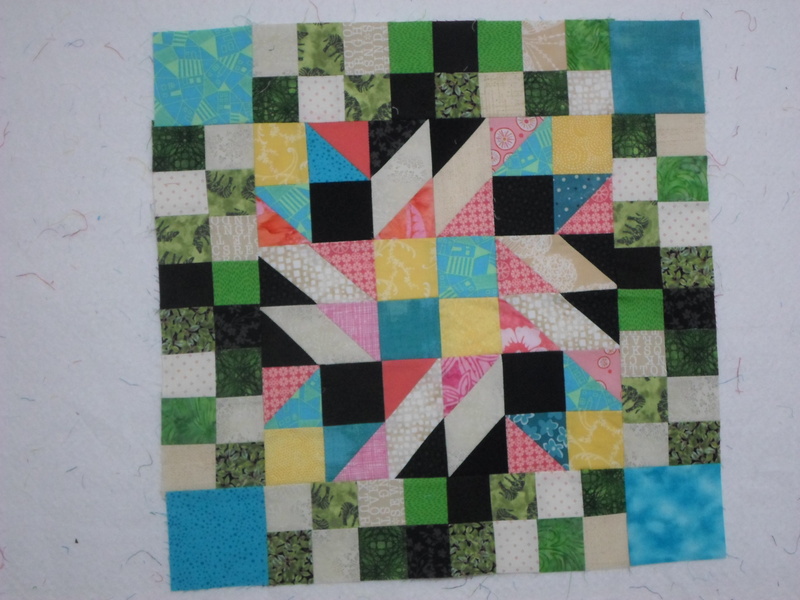 Since you don’t want to end up with double sashing, some blocks get one, two or three sides sashed and then attached to other blocks. 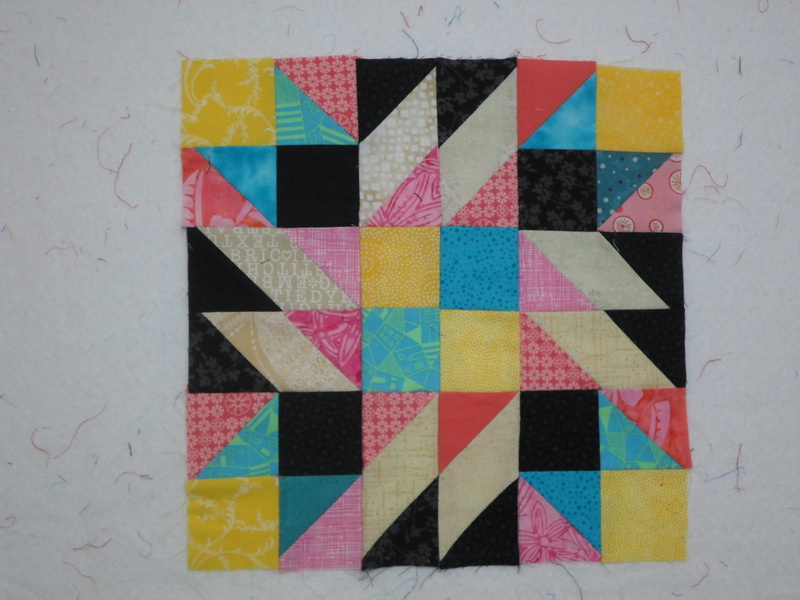 My grand plan fell apart rather quickly, while I was trying to do multiple rows instead of an orderly progression. I haven’t needed to rip anything yet, so it’s all good. I just need to slow down and work step by step. This is a perfect place to incorporate some leader-ender squares! 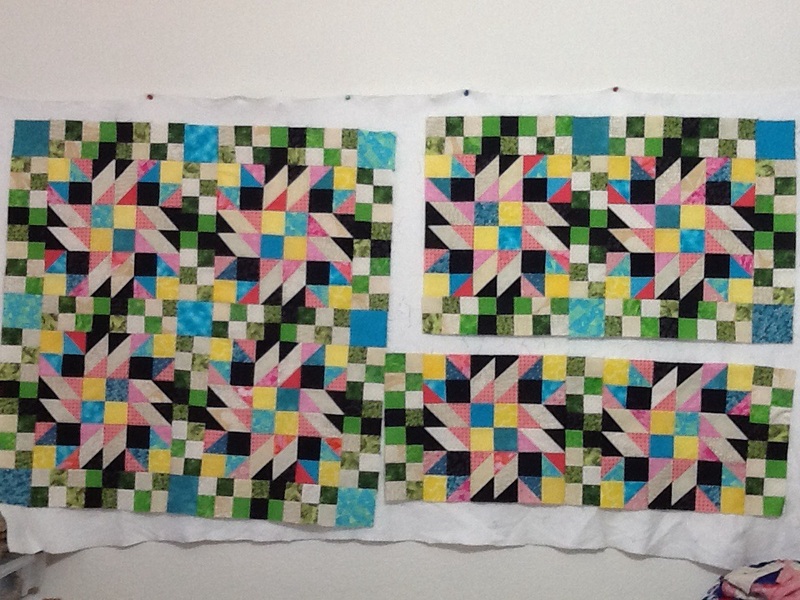 Bonnie Hunter, at Quiltville, revealed her layout for the mystery quilt, Grand Illusion. I love the shimmery effect, it makes me think of crystals and snowflakes. I only had time to put a couple blocks together. I was going for a scrappy look, but I had a larger piece of the checkerboard pink print, so that will show up most often! And then we added one more unit for sashings with some solid cornerstones. TA-DA! For the past few years (four? five?) Bonnie Hunter, who quilts and blogs at Quiltville, designs a new mystery quilt and the kick-off for 2014 was last Friday. 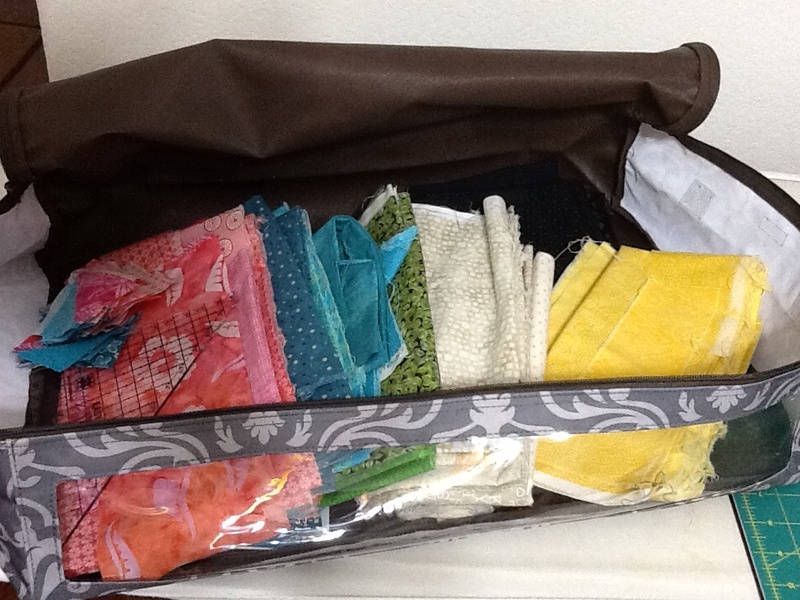 Then I had the special treat of joining a sewing group IN PERSON on Friday! There are quilters from my church who have sewing days 3 times a month, and since I had the day off from work I joined in the fun. 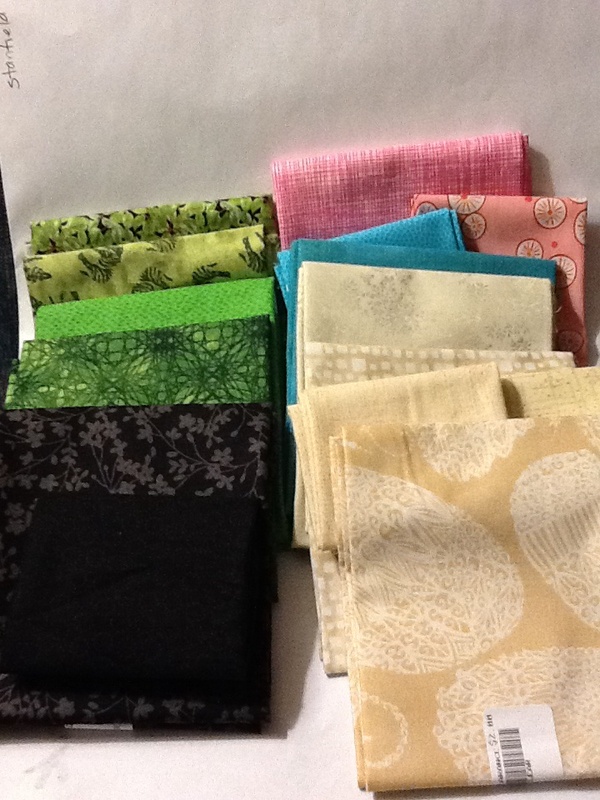 It was only the second time all year that I have been able to sew in a group setting, and I really enjoyed it. And then it was time to cut! Our first step was making 280 half square triangles. 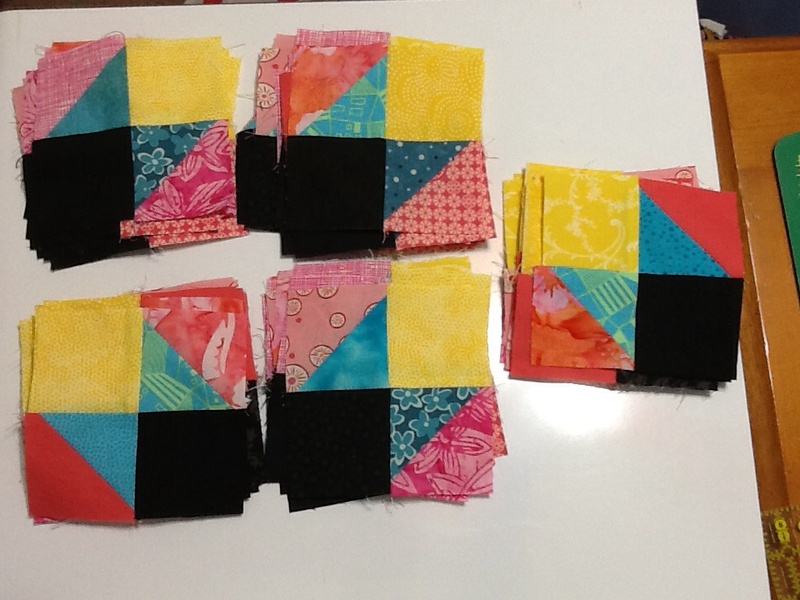 I opted to do half the required blocks, because I plan to adjust the final layout for a rectangular quilt rather than square.